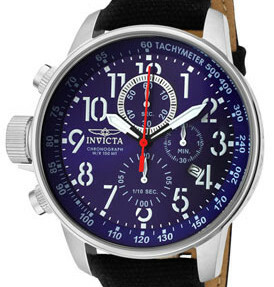 If you’re looking for a watch with some “Wow” factor without being too flashy, the Invicta 1513, part of the force series, could be the watch for you. Exhibiting a large face and bold numbering, this watch makes a statement, without being over-the-top with it. The first thing about this watch that you’ll notice is it’s unique numbering. The numbers’ font look like the kind of font you see on the side of a military ammo box. It’s got that stensil style that really catches the eye. The white numbers stand out against the deep blue watch face. The dials blend in with the face, which makes them out of the way of the more attention-grabbing numerals around the watch. The watch face is pretty large, measuring at 45 milimeters. While the large watch face is good for prominantly displaying it’s unique numbering. Some people might not appreciate this feature as much, but this is more of a personal preference. If you have small wrists, you don’t want a big watch to weigh you down. Another unique thing about this watch is that the crown is on the left side of the watch face, instead of the right. Left handed people will have an easier time with setting the watch than right handed people, so it’s going to be a bit difficult for a majority of people to set this particular watch. The crown on this watch is on the left side of the watch face, as opposed to the traditional right side. 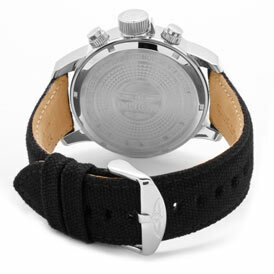 The retail price on this watch is around $595, but it can be found online on websites such as bluedial.com for $140.30 and even cheaper on Amazon.com for $99.00. 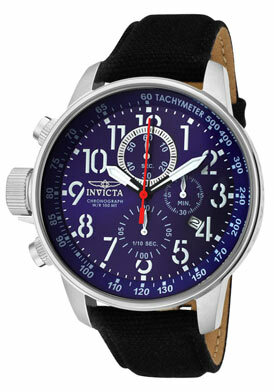 Overall, the Invicta 1513 is a stylish, yet understated watch that has a great price tag. It’s a good, casual watch to have on hand, if you’re willing to overlook the fact that the crown is on the left side of the case instead of the right. Other than some issues with setting the watch, it’s a great casual watch to wear every day.